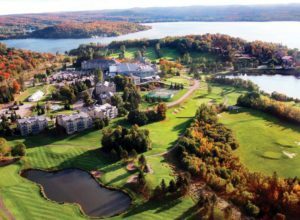 The annual Ontario Funeral Service Association AGM and Convention is being held on September 21st-23rd 2015 at the Deerhurst and Skyline Resort in Huntsville, Ontario. There will be Professional Development Sessions, Tradeshow and remarkable Keynote Speakers! These speakers include: William "Ziggy" Zwicharowski a Funeral Director and U.S Marine Corp veteran who has served in some of the biggest mass fatalities. Also, Bereavement Authority of Ontario (BAO) Interim Chair Tom Wright will also be speaking. OFSA is also introducing a fun new event called "Speed Talking" where participants choose 4 topics and then spend 15 minutes speed talking around the table with their fellow peers! Linda Murphy-Kreimes, Sales Manager at Director On Call is excited to attend. Please stop and visit us at Booth #47! Hope to see you there!